Pequot Tool and Manufacturing is a family owned precision machining and fabrication leader located in Pequot Lakes, Minnesota’s lake country. With 170 employees, this remote manufacturer ships high quality products across the country and beyond. For more than a decade, PTM participated in a registered youth apprenticeship, a collaborative program with the MN Dept. of Education and local high schools. In 2014 the company chose to refocus its internship efforts by engaging in the SciTechsperience Internship Program. This provided candidates that were pre-vetted college students pursuing STEM careers. This pool of interns was not only seeking industry experience, but also to apply their technical training to help improve the company’s productivity. Partnering with SciTech also allowed Pequot to hire more interns than before, thanks to the 50 percent wage match that SciTech provides to participating employers. At the conclusion of each SciTech internship, Pequot now receives a reimbursement of up to $2,500 per student hired through the program. 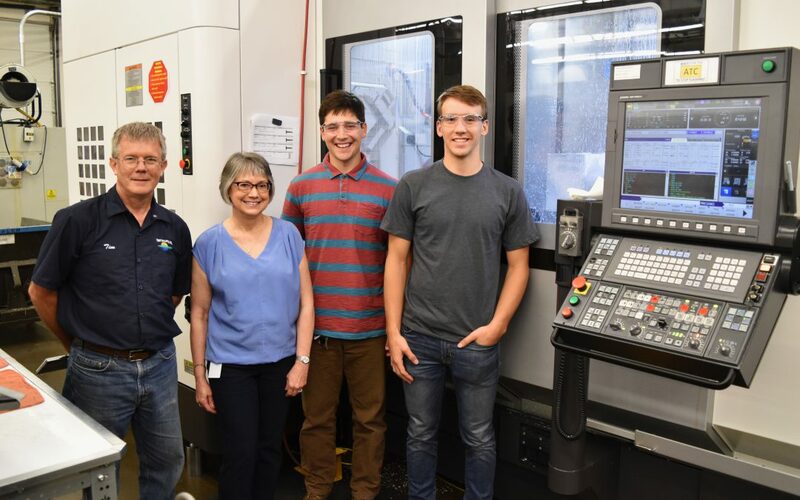 “Because of the SciTech funding, we have the opportunity to invest in our interns as well as giving them the opportunity to spread their wings,” said Tim Walker, Training and Development Specialist at Pequot Tool. Last summer, the company extended this opportunity to interns Jon Decker, Karl Brine-Doyle and Connor Hudalla. Each came to their internships with different areas of study and expertise, from CNC machining to mechanical engineering. PTM provided a tailored learning experience based on each student’s interests. One of the aspects the students most enjoyed about their internships, they said, was the amount of on-the-job instruction and hands-on application they received. “Here, in a group of peers, all levels of experience are represented. Having a conversation with all those people brings so much more value to the experience,” Decker said. 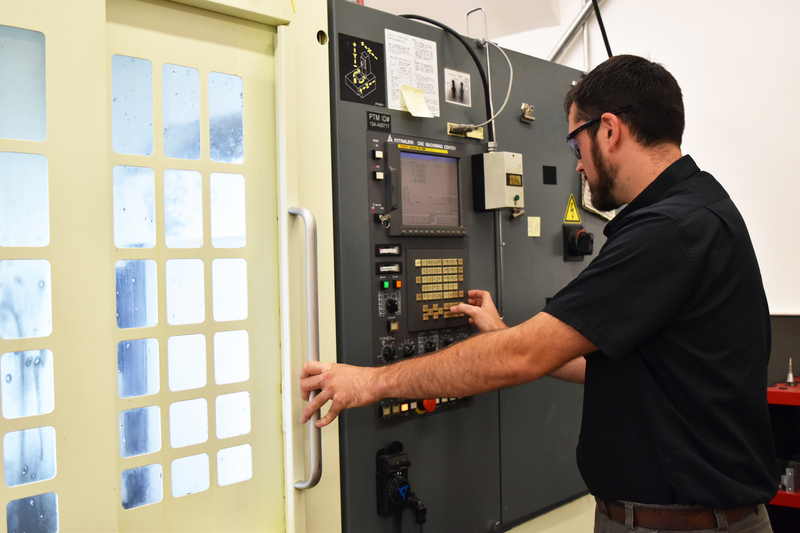 During their internships, Decker improved his ability working with stamping dies, CNC mills and collaborating between departments to communicate solutions for fabrication. Brine-Doyle focused his time on gage design and quality processes, and Hudalla worked closely with some of the machinists and members of the engineering team to rework a “parts catcher” initially designed by engineering students from an area university.